Complete with full pitch surround! 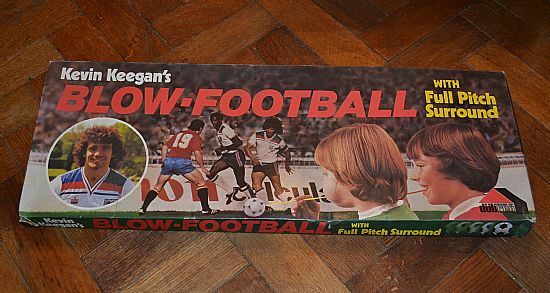 This is the best and most complete blow football set I have come across, same game loads of extras. Dating to late 1970s, cheap tp produce and quite striking in its large box. 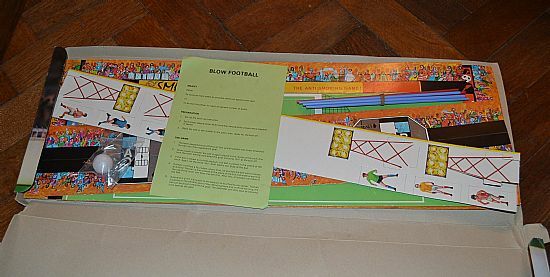 From Brut to blow Football King Kev endorsed it all. Complete unused, unpunched set for sale. 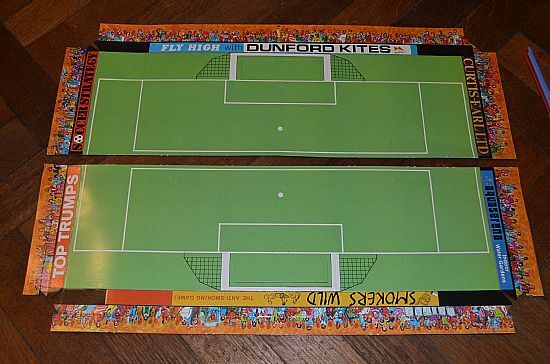 Two pitch ends with goals, surround walls, floodlights, player figures, balls, paper clips, tubes. 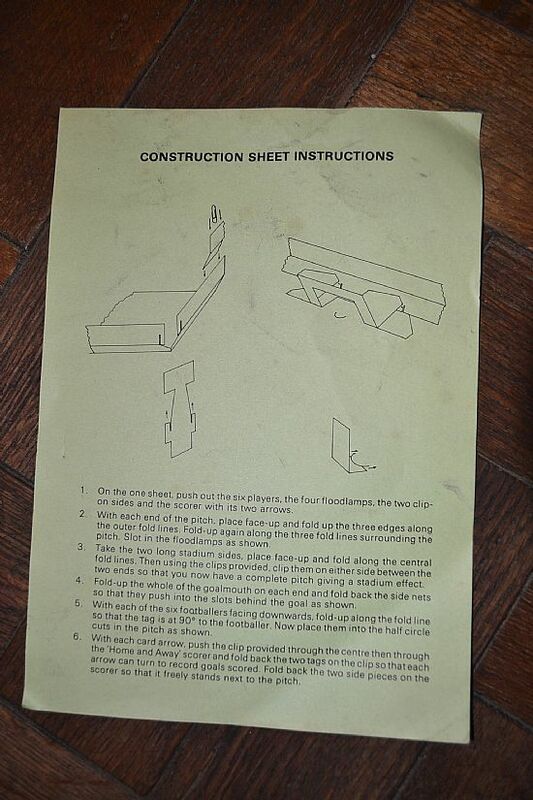 It's got the lot. Plenty to entertain - first you set it up then you play. 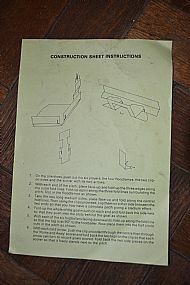 It can be a bit confusing at first as there is no centre pitch - that is simply your table top! 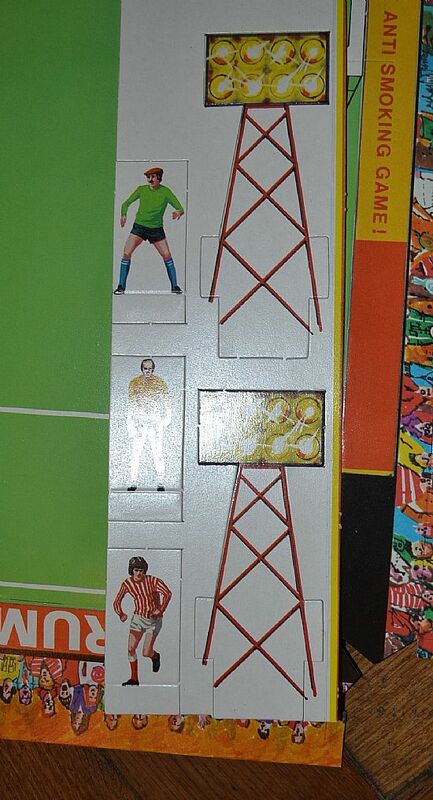 Pop up players to stand on the pitch and divert the ball plus floodlights. The top keeper looks the part with his cap. 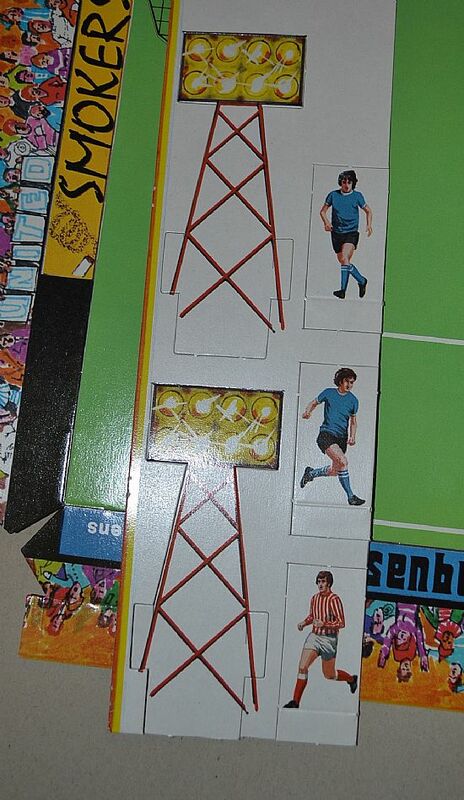 The goals are nicely die-cut and detailed, as they are still unpunched I'll leave them as is. 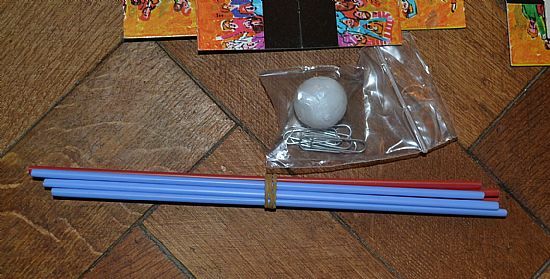 Blow tubes, ball and paper clips!